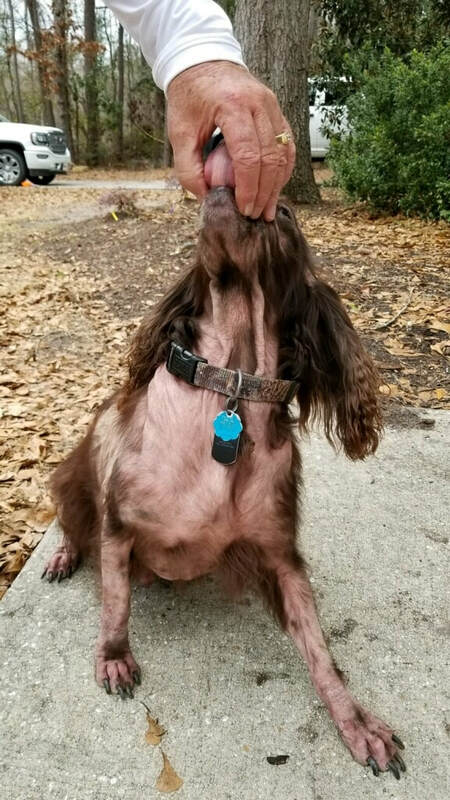 PFC Perry - Boykin Spaniel Rescue, Inc.
Perry came into BSR’s care in 2017 after years with his loving family trying to stay on top of his increasingly aggressive and wide-spread allergies. 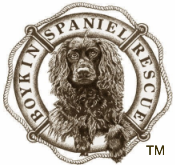 Treatment after treatment was unsuccessful, and they hoped BSR could continue to devote the time and resources that they could no longer keep up with in order to restore him to health. 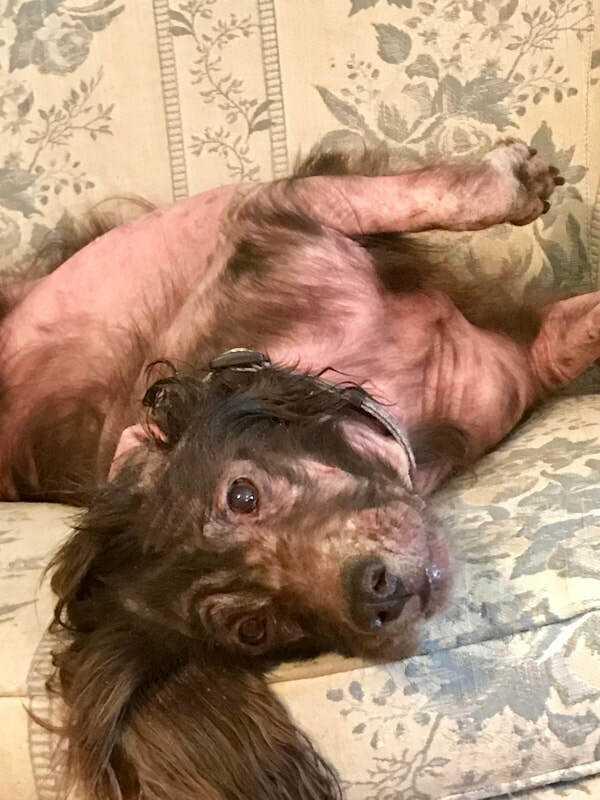 Having treated numerous dogs with skin allergies, Perry was initially thought to be adoptable once the usual treatments we have used with other dogs kicked in. 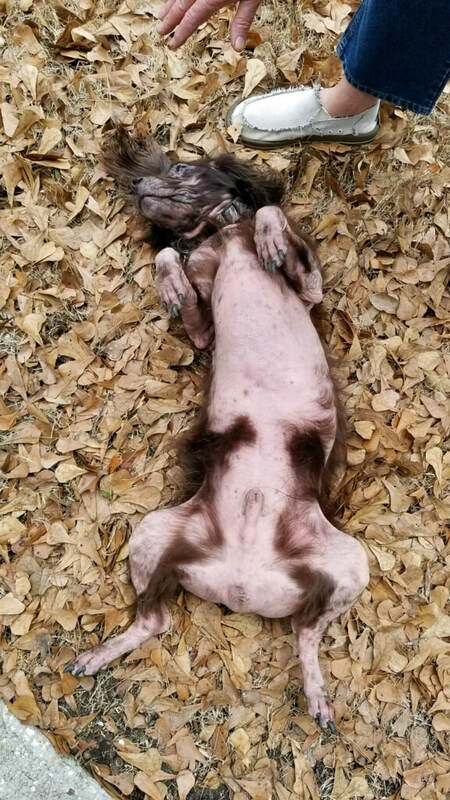 But no....just like his previous owners, his BSR foster faced setbacks time and again after seemingly successful spurts of hair growth and skin calming. Finally, in a concerted effort to bring every resource available together, BSR made Perry a PFC and found doctors with both holistic experience as well as doctors with western perspectives that would work together to overhaul Perry's immune system and leave him better able to tolerate traditional medications. He is still very much a work in progress, every bit as bad off as Handsome Harry was. 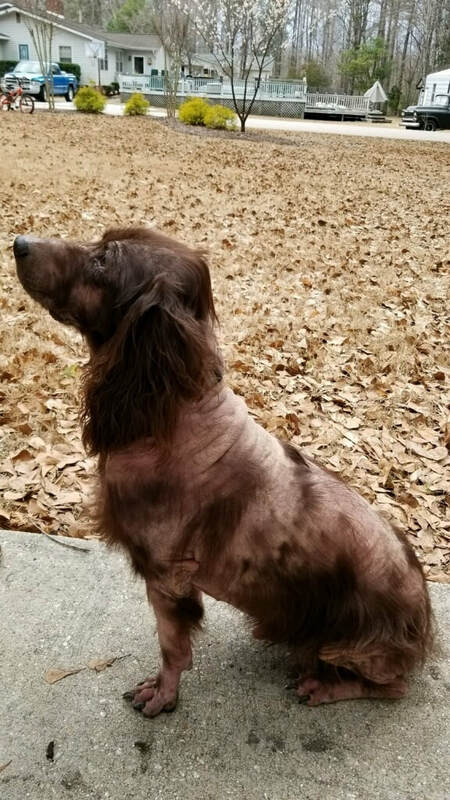 With patience and his loving foster family, Perry will stay under BSR care for his life to get him to health again and maintain that state.